Arla Foods amba’s on account price for conventional milk price will remain the same for April 2019. However, this month it will be negatively impacted by a quarterly adjustment in the currency smoothing mechanism of 0.01pence per litre from 1 April 2019. 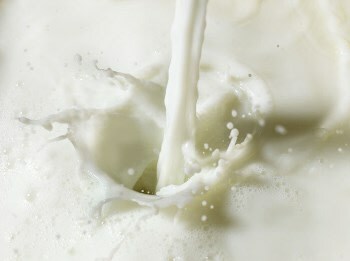 When applied to the UK manufacturing price this will reduce Arla’s pence per litre to 30.23 pence for farmer owners. Graham Wilkinson, Agriculture director at Arla continues: "The long term vision of Arla and it’s farmer owners to drive a sustainable business from farm to consumer, continues to help us grow the business and drive the best return for our owners milk. The recent launch of our Carbon Net Zero ambition, the continued success of our Arla UK 360 programme, as well as the launch of innovative new products such as Anchor Softest, are just some of the ways that we have delivered this month, in spite of a challenging external UK market.It is by working together that we are able to grow and prosper. " Arla farmers are paid on constituents via a manufacturing schedule. For ease of comparison, the liquid price is 29.06 pence per litre based on 4% fat and 3.3% protein. The on-account price for organic milk will reduce to 41.98 pence per litre, including the negative impacted of the quarterly adjustment in the currency smoothing mechanism. Arla Foods is a global dairy company and co-operative owned by 10,300 dairy farmers with circa 2,500 of whom are British.